Best Steam Iron UK Reviews 2019 | Which Are the Top 5 Irons to Buy? On this website we primarily review steam generator irons. That is because we genuinely think that they cut down ironing time in half. 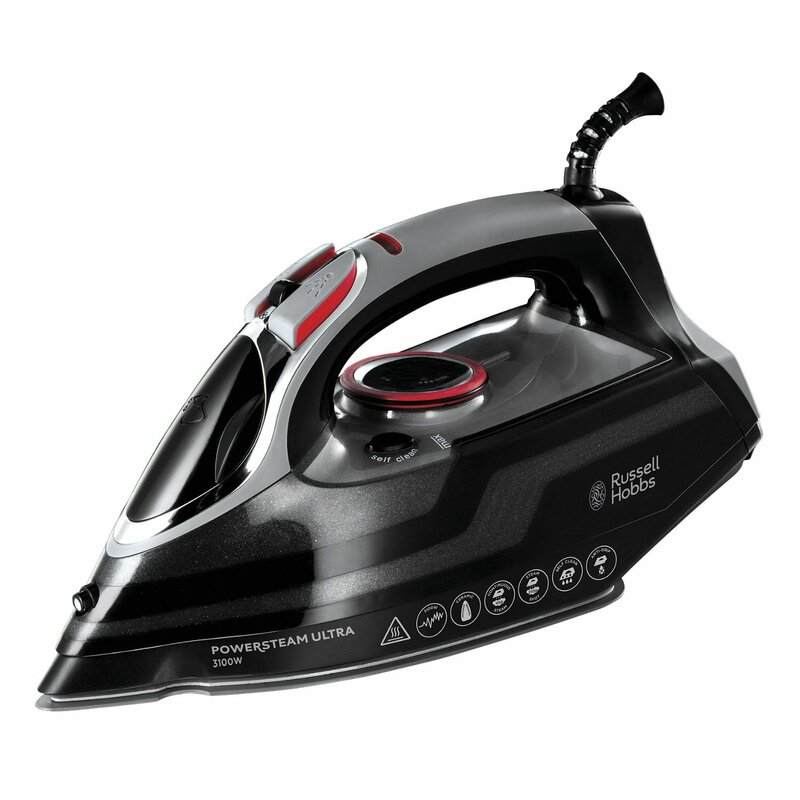 An iron like the Morphy Richards 42244 Jet Stream costs around £60 and makes ironing easy. That said we know that some people prefer an ordinary and affordable steam iron. That is why we have put together a list of the best steam irons in the UK. ​There are certainly plenty to choose from, and again these are all made by the most popular brands such as Morphy Richards, Russel Hobbs and Tefal. Very few people enjoy doing the ironing. It makes sense that if you have a good iron, then at least you can get through the pile of ironing a great deal quicker. No 1 Best Steam Iron - Russell Hobbs 23061 Supreme Steam Traditional Iron. On this website we like our top 5 lists. We hope that it saves you doing a whole lot of research. We have tried to do the hard work for you. So how do we do our reviews and how do we rate our lists. We look at those that sell well on online and those that have the highest ratings. Plenty of reviews and high ratings by actual buyers means that you are buying a very good product. We show very clearly those that get the highest and most consistent ratings. That way you know that these are the best currently on the market. We also include the average price that you can buy these for online. Please note these prices can change on a daily basis, so always make sure to check before making your purchase. 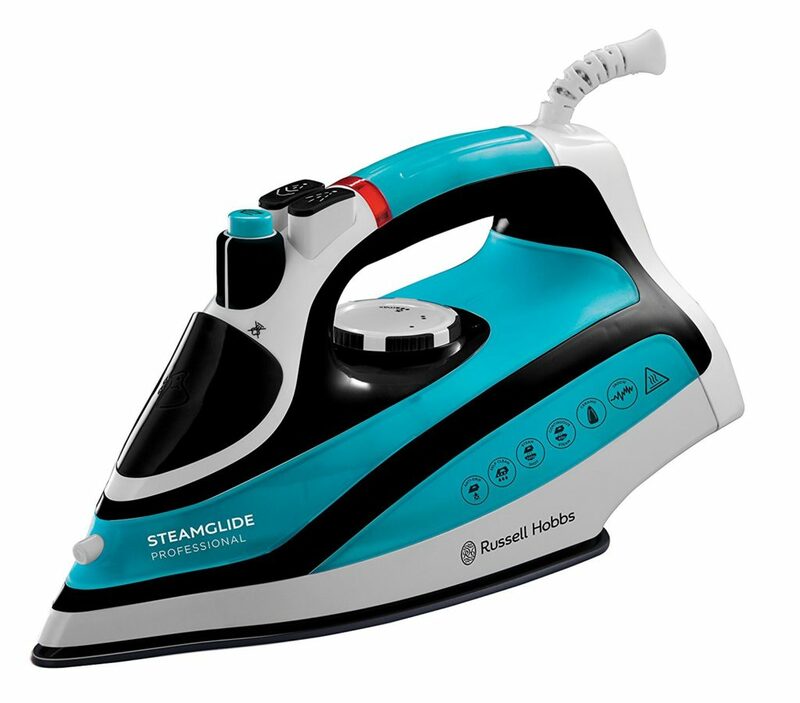 As you can see the number one steam iron, according to buyer's rating is the Russell Hobbs 23061 Supreme Steam Traditional Iron. For well under £20 and a consistent rating of 4.2 out of 5 stars, this one is hard to beat for sheer value for money. It is a basic steam iron but a very good one. This one has a 2 metre cord length (about 6.5 feet long) and has a stainless steel soleplate for smooth and snag free ironing. It can deliver around 42 grams of continuous steam, and when required a shot of steam at 110 grams from 2,400 watts of power. 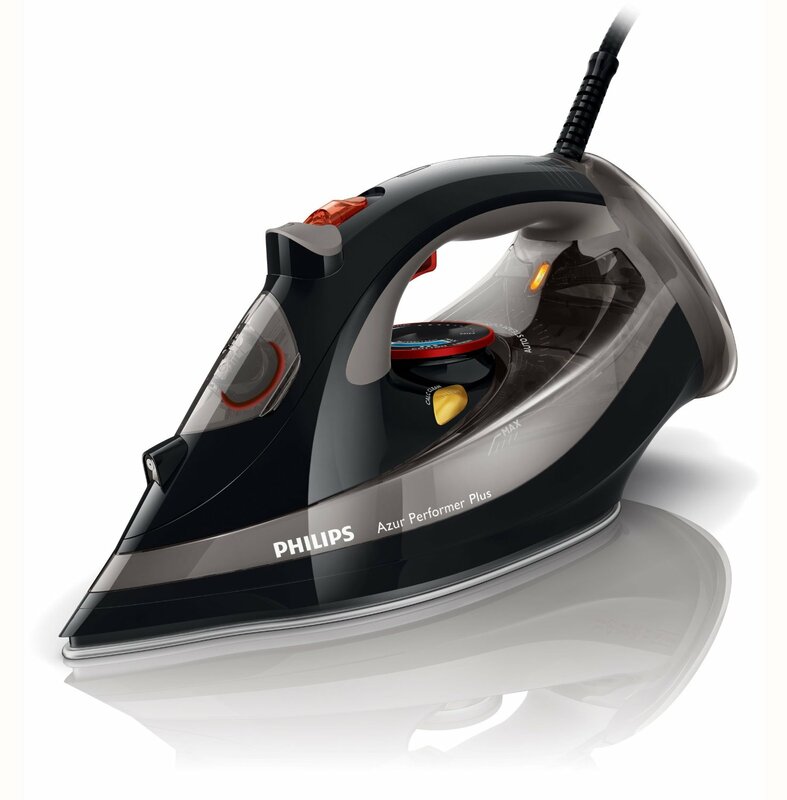 The Philips GC4521/87 is the most bought iron over at Amazon in the UK. There are well over 1,000 buyer reviews so this is a popular choice. It is however almost three times the price as the first one on our list at around £45 and a consistent rating of 4.3 out of 5 stars. The price difference is down to this iron being much better quality. This one uses a T-Ionic guide soleplate which is one of the very best on the marketsoleplate for smooth and snag free ironing. It can deliver around 50 grams of continuous steam, and when required a shot of steam at 200 grams from 2,600 watts of power. 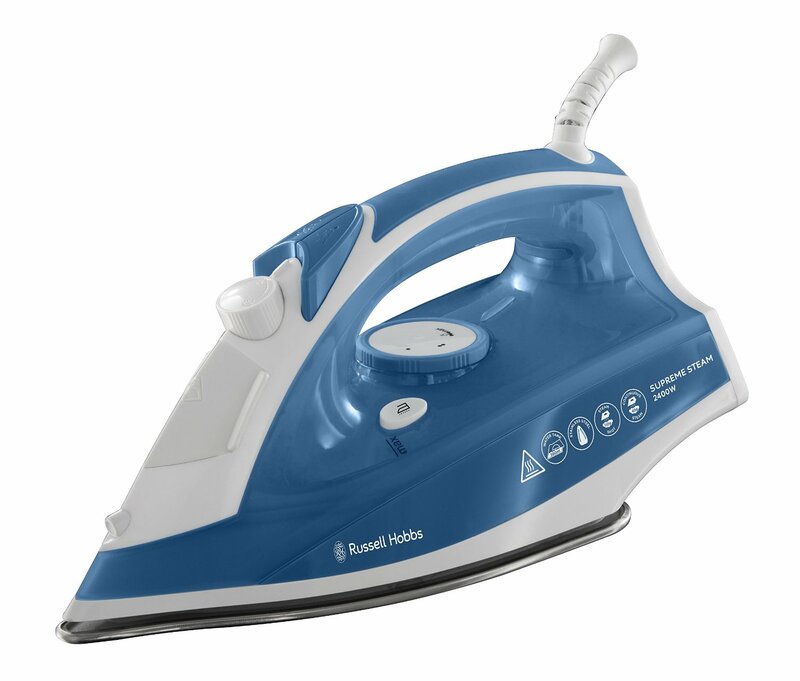 This iron is a very high quality value steam iron. If you can afford this one then it is a better purchase as it is more powerful and better quality that the first one. 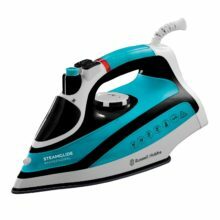 This Steamglide model is one of the highest selling steam irons on the UK market, and has been like that for a very long time. The brand is popular, and this one is especially popular thanks to a strong combination of high quality, and an affordable price tag. Like all Rusell Hobbs irons this one is again high quality. This one is slightly cheaper and slightly more powerful, than many of their other irons from this brand. The Tefal Aquaspeed costs around £45 and a consistent rating of 4.4 out of 5 stars. This one has over just 600 buyer reviews so like the others it also sells really well. This one would be recommended to those who want to buy a good quality steam iron, that will last for a long time. This one is very good quality and buyers like quite a number of features on this model. 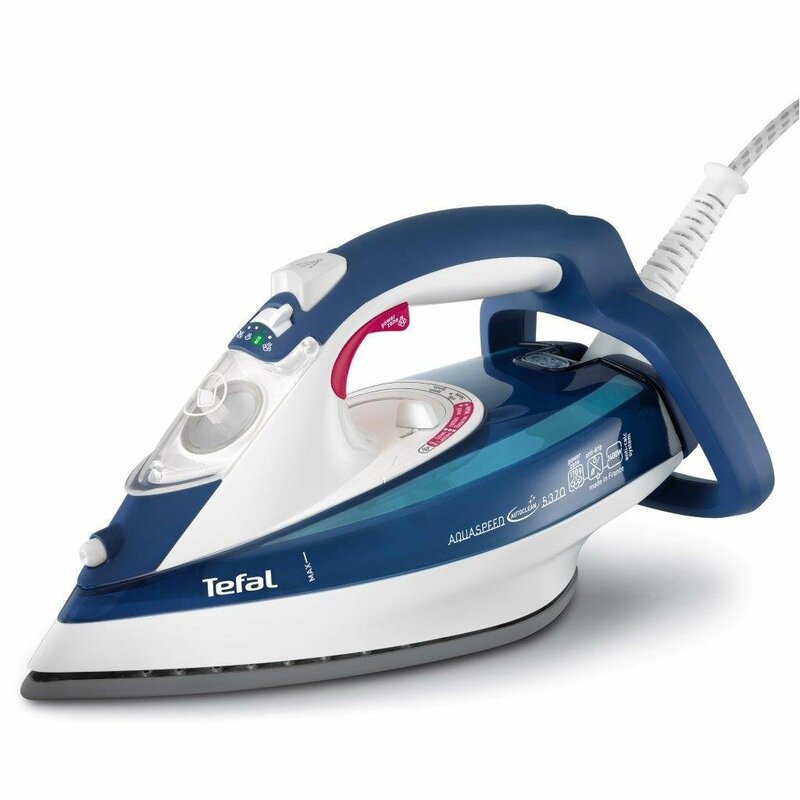 This iron is from the very popular Tefal brand. It comes with an automatic cleaning soleplate. It is also self cleaning and comes with an anti-drip device. This one has a 3 metre length cord and like all of the irons on here, they have a 300 ml tank. That is a normal size tank for most standard steam irons. The Russell Hobbs 20630 costs around £39 and a consistent rating of 4.4 out of 5 stars. This one has over just 150 buyer reviews and this is the most powerful of the 5 irons listed here. This Is a very stylish iron that heats up quickly. It is also, according to buyers, a very easy iron to manoeuvre. This one uses the very popular and effective ceramic soleplate. The soleplate is tapered and that allows you to easily get into awkward places. This one has a a slightly larger 350 ml water tank. When people buy a new steam iron, they may often also buy a new ironing board. We have produced a list of those, which you can read by clicking here. There you will find a useful and helpful guide that will make sure you get the right sized ironing board for your new steam iron.